When Terri Shearer Trenchard searched for the perfect book to introduce the topics of puberty and reproduction to her growing children, she quickly discovered there was nothing that contained what she needed (and only what she needed). So Terri, wife and mother of two, wrote a book for her son, and soon learned that many other moms, dads, and caregivers needed it too. Having experienced broad popularity with the developing pre-teen boy crowd (and those who care for them), she ventured on to write a similar book for her younger daughter—and for those all-important beautifully developing girls. With a master’s degree in Education and Human Development from The George Washington University, and a bachelor’s concentration in Psychology from Bucknell University, she has applied her knowledge and experience as a former teacher, manager, organization development specialist, and mom, to create essential, fact-filled books that engage the pre-teen audience. 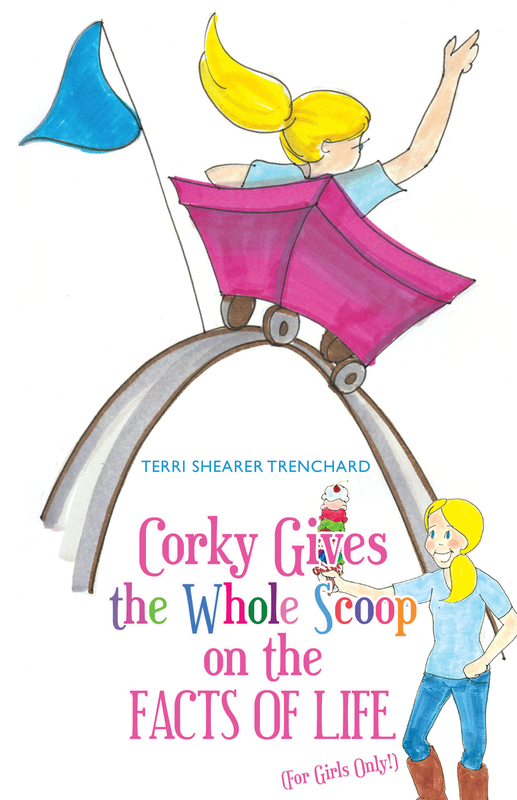 Terri has been featured in several publications including Maryland Family Magazine and Baltimore’s Child. When she’s not writing a book or a blog, volunteering, or anticipating the next bookstore visit, she enjoys many outdoor activities such as skiing, hiking, gardening, travelling, and just about anything at the beach. She lives in Ellicott City, Maryland with her husband, their two children, and a big white furry dog named Yogi. *Join our mailing list to receive news and event updates!